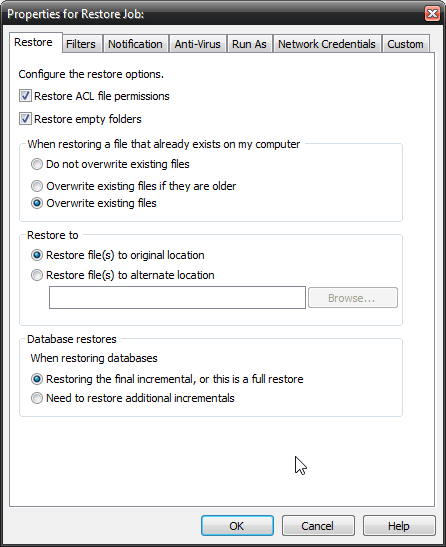 Current versions of NovaBACKUP now use the NovaStor Granular Restore application. Read about that application here; you can obtain and view the Manual there. Watch the video on installing and utilizing the application to restore a single mailbox here: [Guide] Installing NovaBACKUP's Granular (Single Mailbox) Restore for MS Exchange. In order to restore Single Mailboxes with NovaBACKUP and the Ontrack PowerControls software, you will need to restore the NovaBACKUP .NBD file to an alternative destination. Due to the unique way Microsoft stores backups created for Exchange 2010 or 2013, special considerations need to be made. After restoring the NovaBACKUP (.NBD) file to an alternate restore location, you will need to extract the supplied .VDF file.